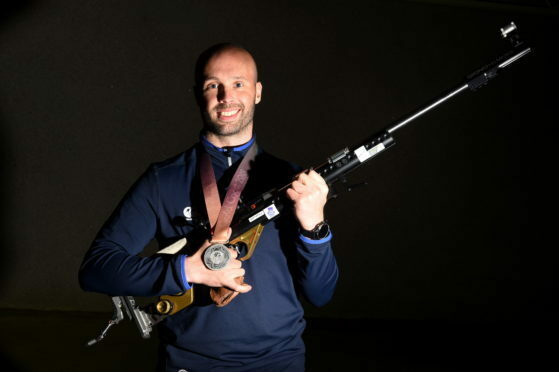 Aberdeen shooter Neil Stirton won a silver medal at the Commonwealth Games on the Gold Coast. Picture: Kenny Elrick. A Commonwealth Games champion has given his support, and his official kit, to a group of Aberdeen school pupils. Shooting star Neil Stirton gifted his Great Britain and Scotland kit, which involved backpacks, jumpers and jackets, to children from the Kinellar Primary School Master classes. 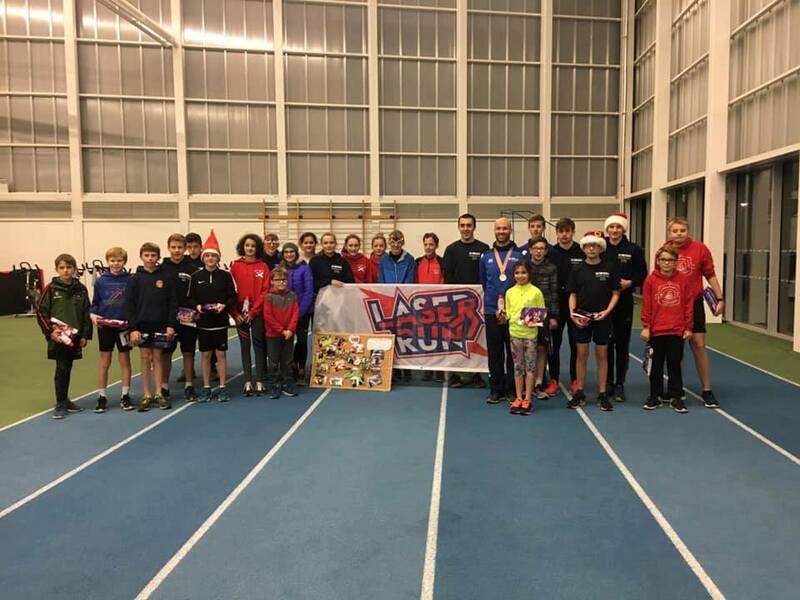 Parent Victoria Flett, who is involved in Scottish Saltires Modern Pentathlon club, organised and coached 15 pupils during a Laser Run master class at the school. The unique sport, which is the finale of the Olympic modern pentathlon, sees athletes alternate between shooting a laser pistol and sprinting to the finish line. 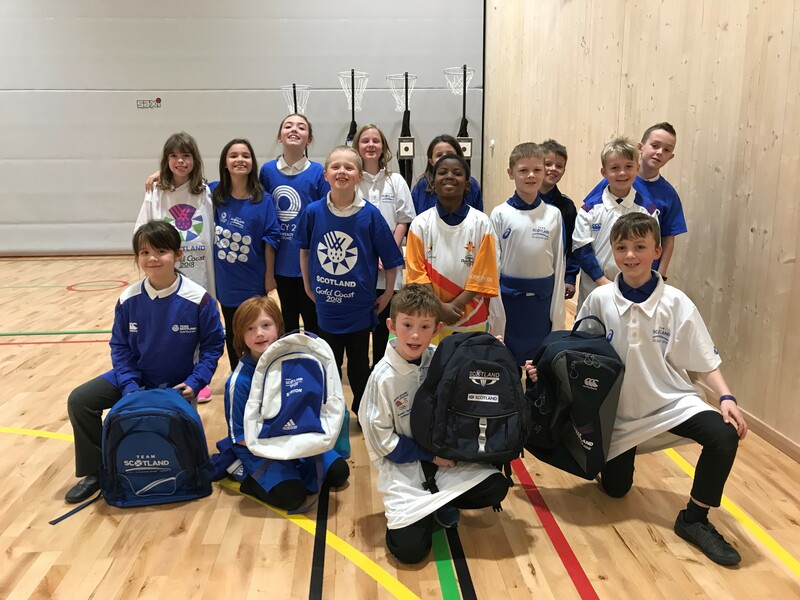 The Kinellar pupils, alongside young athletes from across the city, put their newly-found skills to the test in an tournament held at Aberdeen Sport Village yesterday. In a surprise visit at the end of the event, Mr Stirton answered questions from the children, presented prizes and showed off his Gold Coast Commonwealth Games medal. Juliet Brown, 8, said it was “great” to be presented with her prize from the international athlete. She said: “I had never done Laser Run before, but it was really fun. Mr Stirton, originally from Aberdeen, first got into shooting at a young age. He explained that after trying target shooting aged 11, he went home and grabbed a phone book, and found Denwood Target Shooting Centre at Countesswells, where he joined Bon Accord Rifle Club. Within a year, he had bought his own rifle and progressed from local to county to national level competitions over the next three years. He said: “If these kids can stick with what they truly feel passionate about, whether it is Laser Run or a different sport, I believe they can do it. “When I was their age, it wasn’t necessarily about beating other people and the competitive side of things, but more about improving myself. 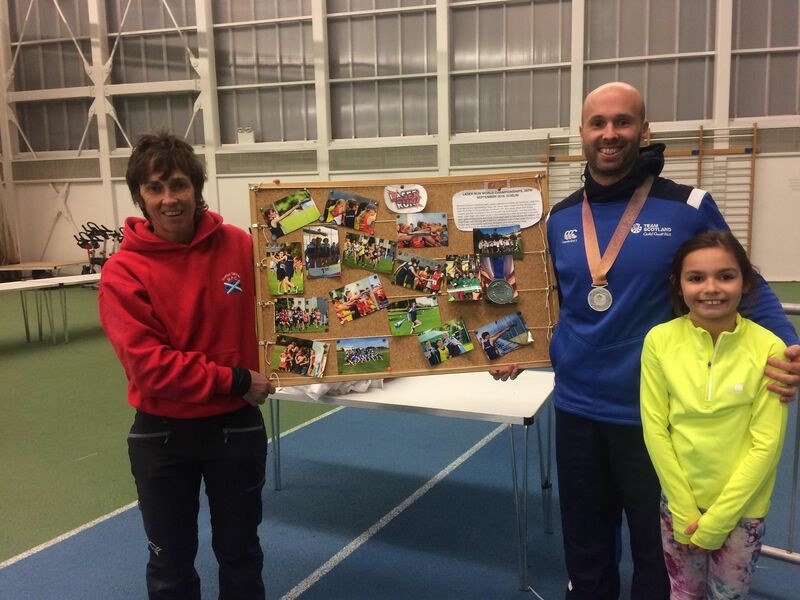 Trish Prise, chairperson of the Scottish Saltires Modern Pentathlon club, hoped that Sunday’s event would inspire more children to take up the sport. Ms Prise raised funds for ten years to get the required equipment for the Laser Run equipment, with each gun costing £500, and £250 for the target board. She said: “The club has had an amazing year, with so many young people reaching nationwide tournaments.